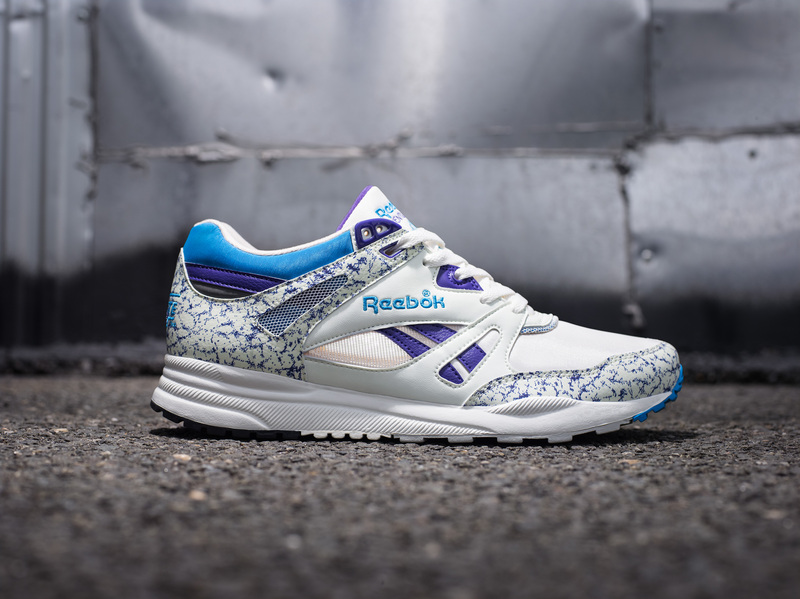 The 1990 Ventilator is currently celebrating it’s 25th anniversary and there is a huge selection of anniversary colourways hitting the stores + streets right now, and Reebok Classics recently released the 2nd of 3 colourways from the 2015 Ventilator Vintage Pack, this time in Chalk/Snowy Grey/Team Purple/Energy Blue. Read on for more, and for macro pics. “In 1990, Reebok released one of their most timeless running designs: the Ventilator. 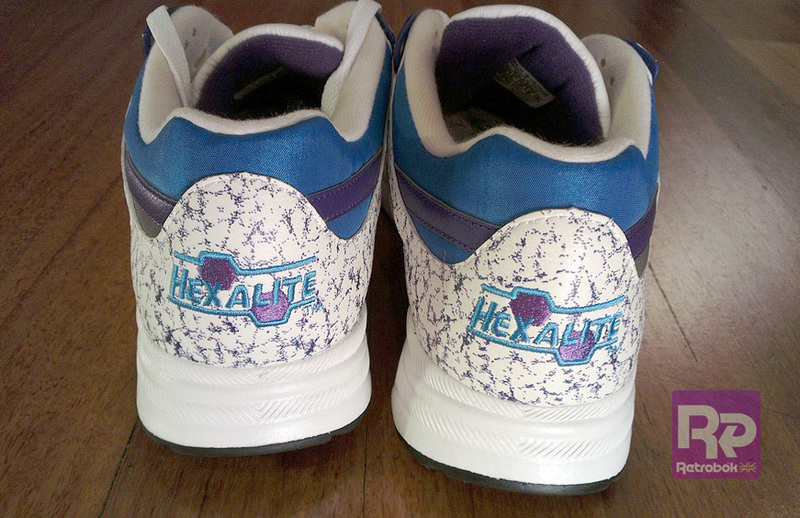 Incorporating Hexalite technology into the shoe to provide greater comfort and better shock absorption, it was the perfect shoe for the faster, lighter runner. The durable lugged outsole was designed to give sure-footed traction for both on and off-road running. The visible archbridge in the middle of the shoe was perfectly placed to offer optimum motion control. And the name Ventilator? That came from the ventilated side panels that allowed cooling and breathability. The shoe was ahead of its time. Twenty-five years later the shoe is a classic. Still as light as it ever was but now worn for street fashion instead of road running. As Reebok celebrates 25 years of the Ventilator in 2015, three of the original colorways return in their true form; stitch for stitch and perfectly color matched for authenticity. Some more fascinating insights into the making of 80’s Reebok runners from David Foster. David is the 8th generation of the Foster family involved in shoemaking — his Father Joe and Uncle Jeff started Reebok from the ashes of the J.W. Fosters company in 1958. David himself was directly involved in the design and manufacture of some of Reeboks’ most succesful shoes in the 1980’s. Comments Off on Feature — David Foster: Creating the Victory GTI Road Trainer.